This thermographic high-resolution uncooled infrared camera of the "upper class" features high megapixels and excellent thermal resolution for razor-sharp infrared recordings. The Infratec VarioCAM® HD head 700 was designed for demanding stationary monitoring and measurement tasks. 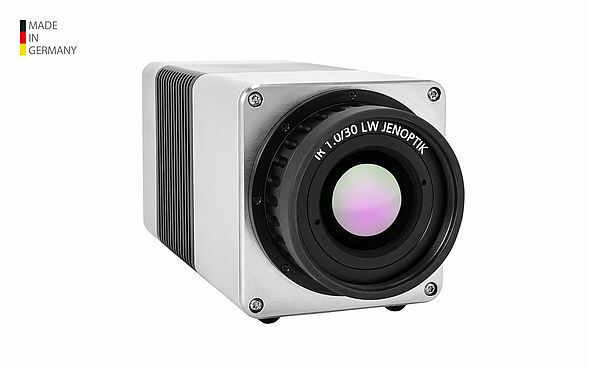 With the ability to produce brilliant high-quality thermographic images with 16 bits, this camera is capable of capturing the smallest details on large object surfaces. Maximum frame rates of 240 Hz allow for rapid temperature change to be detected quickly and efficiently. The application range includes automatic threshold recognition and signalling, digital real-time image acquisition via GigE technology and online processing of thermographic data. The housing features industrial light metal (IP67) to allow for easy and efficient installation in otherwise tough process environments.